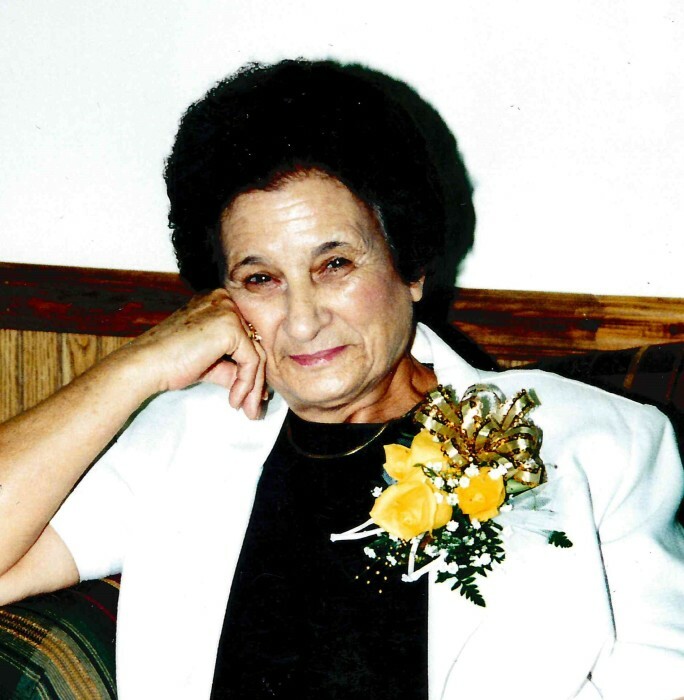 Hazel D. Young, 89 of Newbern, Tennessee died on Wednesday, April 10, 2019, at West Tennessee Healthcare-Dyersburg Hospital in Dyersburg,Tennessee. Born Saturday, July 20, 1929, in Gibson County, Tennessee. She was the daughter of the late Lester Howell and the late Annie Mae Howell . She was a retired janitor for Trimble Elementary School and a member of Trimble First Baptist Church for over fifty years. Funeral services will be 3:30 PM Saturday, April 13, 2019 at Trimble First Baptist Church with Rev. Rick Isbell officiating. Interment will follow in Pierce Cemetery in Trimble,Tennessee. Visitation will be Saturday, April 13, 2019 from 2:00 PM until 3:30 PM at Trimble First Baptist in Trimble, Tennessee. She is survived by four sons, Terry Young, of Ripley, Tennessee, Randale Young of Trimble, Tennessee, Timmy Young of Troy, Tennessee, Jerry Young of Trimble, Tennessee; one sister, Bonnie Willis of Union City, Tennessee; ten grandchildren and twelve great-grandchildren. In addition to her parents she was preceded in death by her husband, Joseph Monroe Young; two sons, Larry Young and Ricky Young; one brother, Junior Howell and three sisters, Sylvia Parrot, Betty Jean and Helen Parks. Online condolences may be made to the family at johnsonwilliamsfuneralhome.com. Johnson-Williams Funeral Home is honored to serve the family of Hazel D. Young.